I have been a Doctor Who fan since I was introduced to the show when I was around seven years old. The adventures of Christopher Eccleston’s Doctor (the ninth Doctor) ushered me into this sci-fi world of adventures across time and space and I was entranced. Everyone has a favourite Doctor and the news that the Doctor was going to be a woman divided fans both old and new. Some clung to the notion that the Doctor could only be a man for nostalgia’s sake and that as it hadn’t happened before it couldn’t/shouldn’t happen now. While others embraced the idea whole-heartedly as it would be a positive change. However, the show’s writers and producers never ruled it out thus bringing a new age of Doctor Whoin the form of Jodie Whittaker as the new Doctor. And based on her first episode – I think we’re onto a winner. I didn’t like Peter Capaldi’s Doctor, primarily because I didn’t like Steven Moffat’s writing behind him. I struggled to watch episodes as I found them too long-winded and overly complicated and so in the end I gave up. I have no doubt Capaldi is a superb actor, but I felt the stories made him seem stiff, grumpy and downtrodden. It made me want to give him a hug and a great thing of rum, at the same time. Whittaker breathed life back into the role and I honestly found her character enjoyable and pleasantly upbeat. Despite- quite literally- crash-landing to earth she jumped straight into determined-Doctor mode and adopted a can-do attitude. She is quirky, witty, smart-as-hell and I loved that. The show’s new writer, Chris Chibnall, previously worked on Torchwood and Broadchurch and you can see a difference in tone with the first episode of Whittaker’s reign reflecting change in the lively-fantasy-romp that is Doctor Who. Perhaps its just me, but I thought the plot seemed to come across as less sci-fi charm and more serious. What kept everything moving was the Doctor’s charisma (and blow-torching skills) that made her character likeable and her relentless positivity that made me smile. Unfortunately, the episode for me didn’t have the scare-factor balance I would’ve liked. An evil pile of wires and a gory, alien tooth-fairy didn’t exactly have me on the edge of my seat. But I did find myself rooting for the characters, even the secondary ones. Bless that Carl and that recorder telling him he’s special and needed – I wanted to see him live. I read somewhere that good writing makes you feel something, and I’m excited for this season’s Doctor Who for precisely this reason. So, I’d give this episode a 3 and half star rating. If I were to rate how good it was because I felt it missed the romp-fun-element and there was too much meaningless death. But the episode was different and not because of the Doctor was a woman. Whittaker owned that role and she is undeniably the Doctor, even if her sonic screwdriver looks ridiculous. The episode didn’t feel stale or cliché that I felt some of the past series suffered from immensely. I guess the other different element to this episode is the squadof companions. Three is too much for the first episode. I would be happy for a band-of-five situation after we’ve established the characters more, but this episode proved that there wasn’t enough space to build concrete characters and make them important. Thus, I dubbed the companions as bike dude (Ryan, played by Tosin Cole), cool lady cop (Yasmin, played by Mandip Gill) and Bradley Walsh (who is playing Graham). The Doctor, I hope, will bring them all out of their shells. It’s a new Doctor Who era and if she’s going to have a legion of companions I hope they can all play instruments because I will be rooting for a band. I put forward the name ‘Time and Space Jam’ and no-one can dissuade me. It’s new and it contains all the ingredients for a different kind of Doctor Who. The superglue of this show is the new Doctor. Whittaker is simply wonderful and a hark back to Eccleston’s 9 with her unbound Northern-ness that’s definitely going to confuse viewers across-the-pond. If anything, this episode implies strongly that it doesn’t matter who you are, as it is what you can do that matters – a message I believe we can all support. 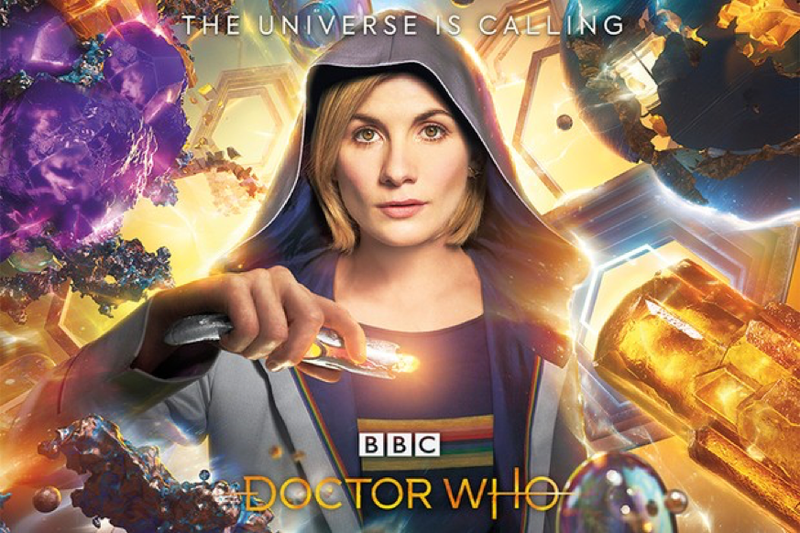 For the first time in a while, I have hope for Doctor Who and only time will tell whether this time-traveller will continue to shoot for the stars or be in for crash-landing – but at least Whittaker is off to a flying start.